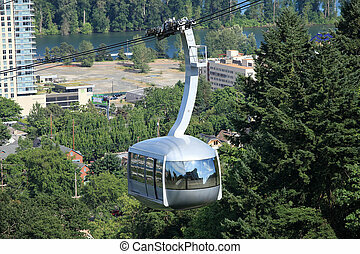 Aerial tram, portland or. 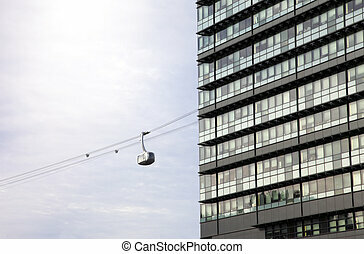 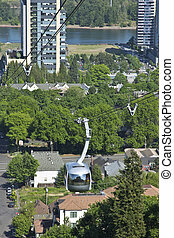 An aerial tram transporting people to and from the hilltop in portland oregon. 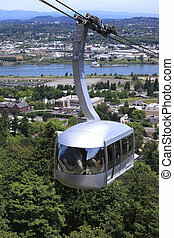 An aerial tram transporting people to and from the hilltop in Portland Oregon. 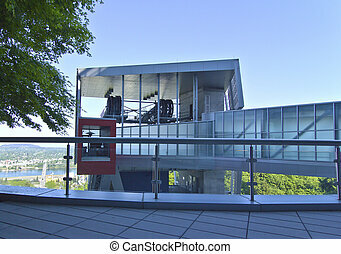 Housing building for the Aerial tram Portland OR. 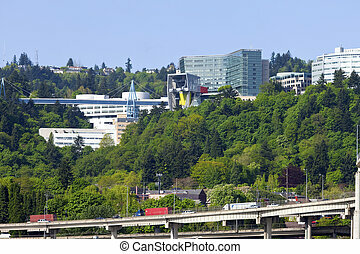 Climbing up the hill in Portland OR. 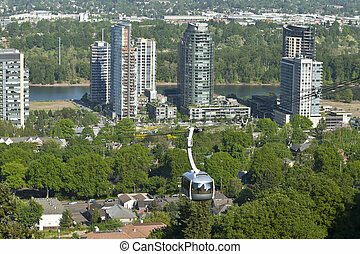 Aerial tram and a tower. 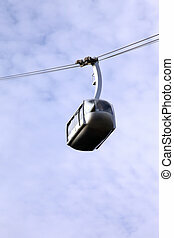 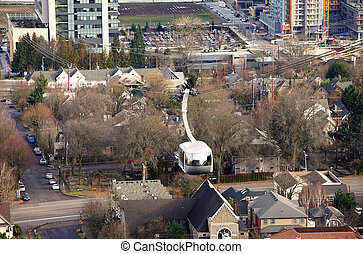 An aerial tram transporting people to the top of the hill, Portland Oregon. 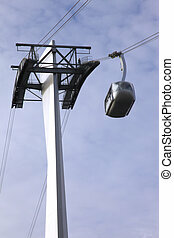 The aerial tram during transportation on cable wires. 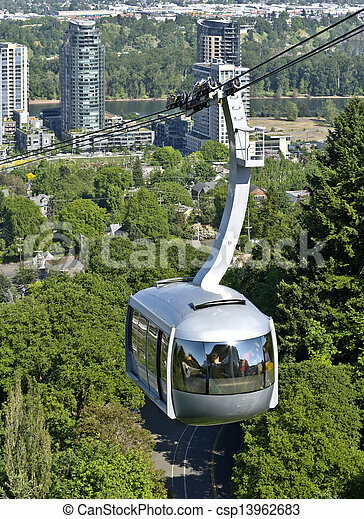 An aerial tram transporting passengers to the top of the hill. 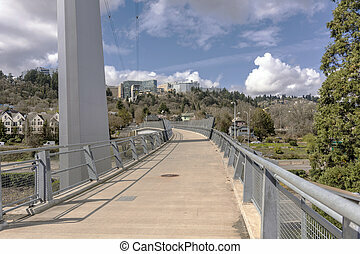 Pedestrian overpass and the OHSU architecture in Portland Oregon. 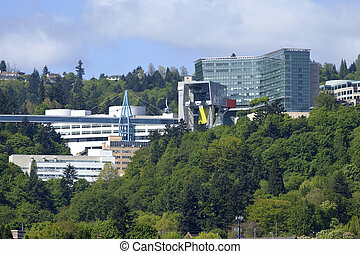 Oregon Health & Science University, Portland OR. 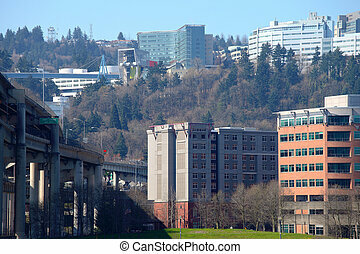 The OHSU building, aerial tram housing & the I-5 freeway on the western hills, Portland Oregon.